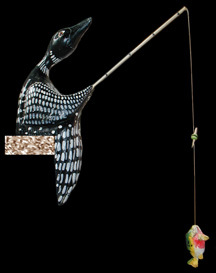 Dave Kober Decoys - Art Pieces, Commissions and "Catch-and-Release" trophies. I've always heard that Loons were great at fishing!! 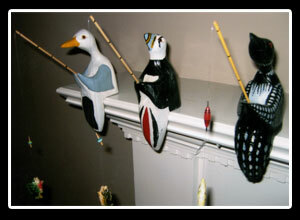 Also available as Sea Gulls and Puffins - all approx. 8"